Creative Montage: Dress your 'maids! There is something SO summer about the pink of a watermelon. 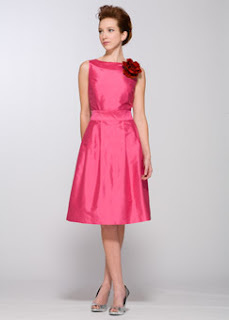 Here are some fab bridesmaid dresses that are classy and hip in a really stunning color! Hope any Midwest peeps are keeping cool today...yesterday was BRUTALLY hot and today is going to be even hotter!